If you’ve been following your slots news you’ll know that the diamonds ‘n’ pearls-obsessed slot, Mega Fortune, has been busy racking up the big jackpot winners of late. Its take on the high life is perfect for dreamers of Rollers, jewels and champagne while actually giving you a chance of experiencing the life yourself if you hit it big. 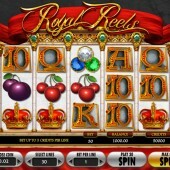 Slot developer Betsoft Gaming have looked to rival Mega Fortune's lavish theme with this 5 reel, 30 pay-line slot release. There’s a certain touch of class on the reels in this game, with plenty of red velvet and enough gold trim to satisfy even the keenest social climber. 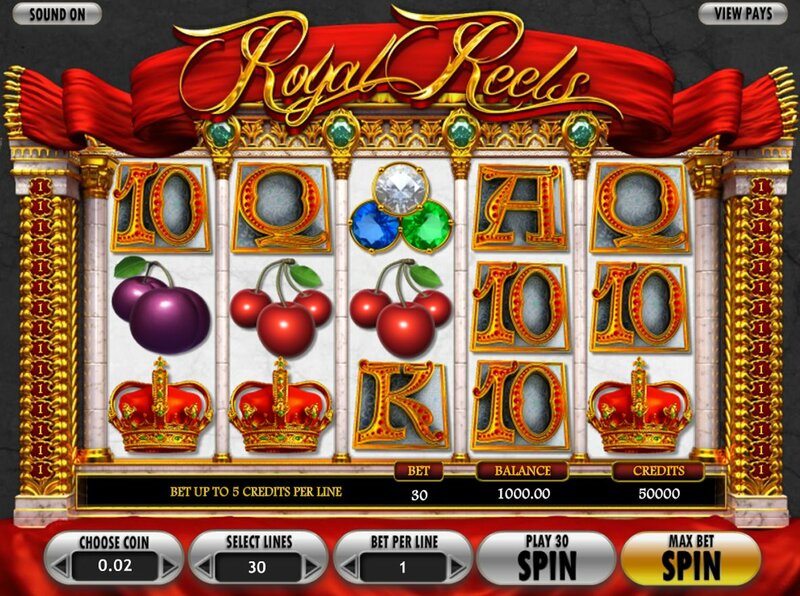 On the reels we get lots of crowns, diamonds, cherries and regal-looking 10-through-Ace icons. The diamond is Wild but will only pay out (a 500x-line bet jackpot) if you hit five on the reels. It substitutes for all regular symbols other than the Scatters. There are two bonus rounds in Royal Reels, but it’s worth mentioning that they only trigger if you hit three Scatters in a row from left-to-right. First, three colored gemstones from left to right on the reels triggers a Click Me Bonus. Simply click on one of the colored gems to reveal your cash prize. Secondly, three crown symbols on reels 1, 2 and 3 triggers a Pick’ em Bonus game, this time with the chance of some pretty nice wins. Pick one of five crowns to reveal your cash prize. Despite not having some of Betsoft’s other cool features you’d normally associate with them, there’s still much to enjoy in this simple slot. Even though the bonus rounds have to be triggered left-to-right, I still found myself hitting one or both of them fairly regularly. If this has tickled your fancy for the high life, and Mega Fortune’s progressive jackpot still eludes you, make a beeline for Microgaming’s slice of riches on the slots, Finer Reels of Life.